panstamp weblog: HouseAgent, a promising open door to the "Internet of Things"
First of all, please sorry for the long delay since my last post. I've been busy with different tasks within this project, including production, logistics and commercial plannings. New prototypes are coming in two or three weeks, already soldered and checked from factory. I've also ordered some base boards for testing new concepts and use cases but I'll be soldering those boards by myself until I decide which of them go for regular production. But I don't want to bore you more. Instead, I prefer to let you know about my progresses in the technical area. Those of you usually following my blog probably know that I was planning to start a computer-based development, a new application to connect SWAP networks to the IP world. In a few words, bring the "Internet Of Things" concept to the panStamp project. This was not a simple task since a lot of work was involved, even if the concept behind it was quite simple. I initially called this new application "panTastic". 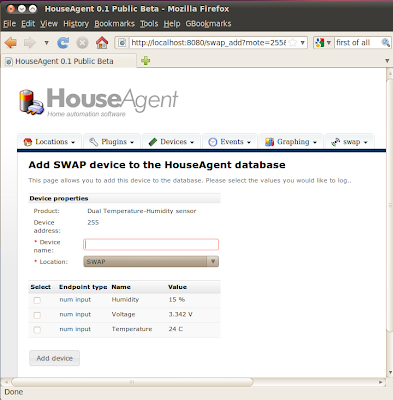 However, a few months later, Paolo Di prodi, from Robomotic, let me know about HouseAgent, a very promising open source project developed and maintained by Maarten Damen. 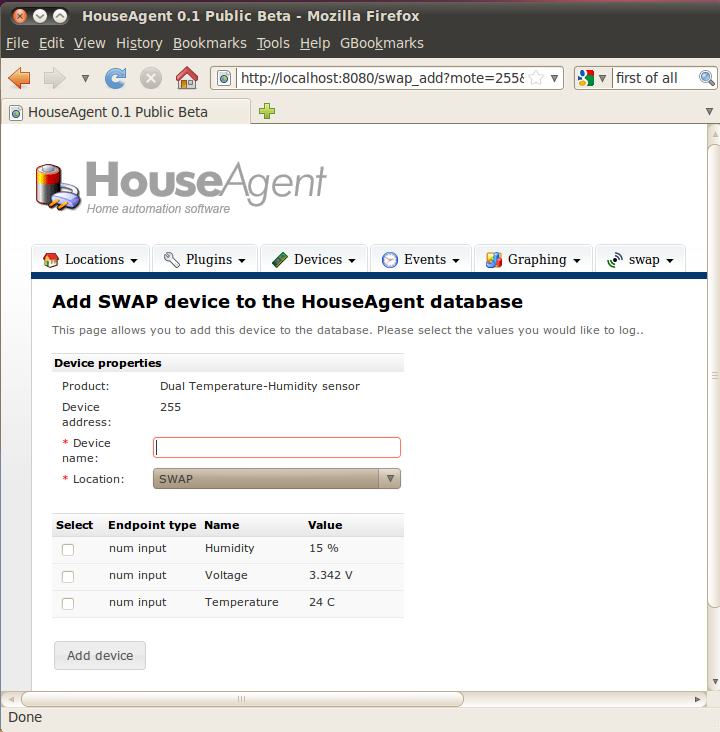 HouseAgent is an open Home Automation software, maybe similar in concept to other well-known applications (ex: HomeSeer, Mr. House, HAL, etc) but with some particularities that will probably let it find a privileged position in the open source home automation area: very good architecture ready to face nowadays' cloud computing challenges, a simple plugin interface to make the creation of new communication plugins a simple task, multi-platform (HouseAgent is 100% Python), and the requirement for a very low memory footprint are some of HouseAgent's main strengths. From my very personal point of view, HouseAgent, once finished and released, will be perfect for all those new Home Automation projects requiring to work on very low-power computers (ex: ShevaPlug, Pogoplug, etc). The good and bad thing about HouseAgent is that it's still under development. Thus, if you want to use this software in real projects you will probably need to wait some months before its release. On the other hand, if you are a developer and want to contribute to the project with your ideas and work, then Maarten and the rest of the HouseAgent team will certainly welcome you. Very interesting project Juan! It seems like Nagios but free. Have you any experience with Nimbits?